Alfred Hitchcock, the famous filmmaker, used a special technique for developing and refining plots of his movies. Hitchcock was telling different stories at the parties and later was observing reactions of people who were listening. He was experimenting with different story lines. The movie was then created according to the feedback from his listeners. The digital world is constantly evolving, almost on a daily basis. Traditional approaches in designing or developing applications are very costly. Rather than describing the design or future functionality of a mobile/web app, try prototyping. It is a concrete, measurable, faster and more accurate technique for getting than market predictions or classic business plans. 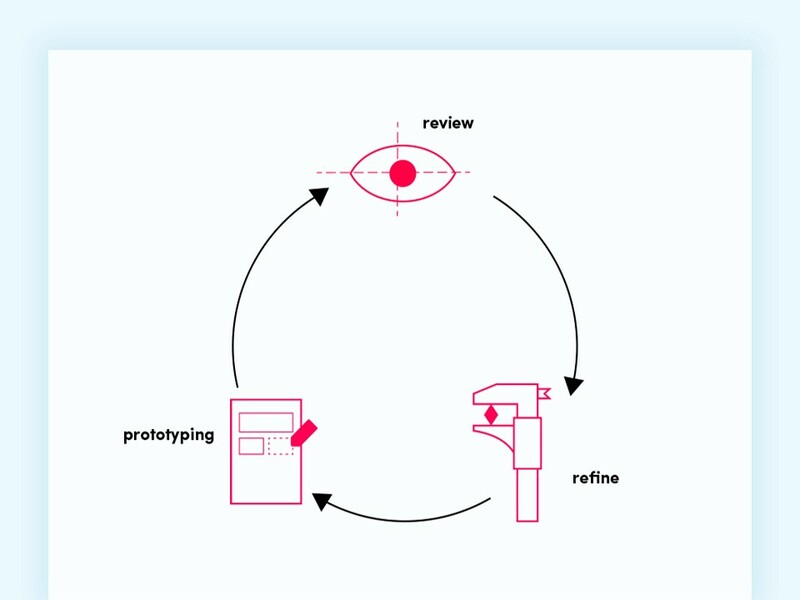 Prototypes are real, while wireframing or documentation are abstract. What can be called a prototype? A prototype is by definition “a simulation or sample version of a final product, which is used for testing prior to launch.” A prototype can be a new function on your website, basic functionality of your mobile app, or a new service in your company. The idea here is that you have something tangible, which you can test in all directions and almost instantly. It is more about experimenting than describing what the design or functions might be. A prototype does not have to look perfect to be effective. You will get the feedback right at the beginning and you will not spend your time working on a product that is hard to use or worst that nobody wants. Convert description into a mobile or web app. Share the prototype and try to evaluate how it meets expectations and the needs of your users. Using the feedback, identify the issues that need to be fixed. When someone uses the word prototype, most people will imagine a product, which is almost finished. Prototypes are not meant to be fully functional, they are intended to help users to see what a final product might look like. Therefore, you need to decide what and how much should be prototyped. New functionality, technology or design are very good candidates for prototypes. Basic functions like search or filter can be improved in finalization of the whole project. In your prototype, you should try to implement at least 20% of the most used functionality of your app. The main role of creating a prototype is to show how an app or project will work or what design will look like. There is no need for a prototype to have a full functionality right at the beginning. When you are working with prototypes you are working with something tangible, something you can grab, you can show somebody not just on the “paper”, but in your mobile or on your computer and he can use it. While using it, you are getting a valuable feedback which helps you to improve the whole app. It is the most effective way to determine whether your app project is feasible or not. Let’s look at app development, and consider the cost of fixing issues in various stages of software development. 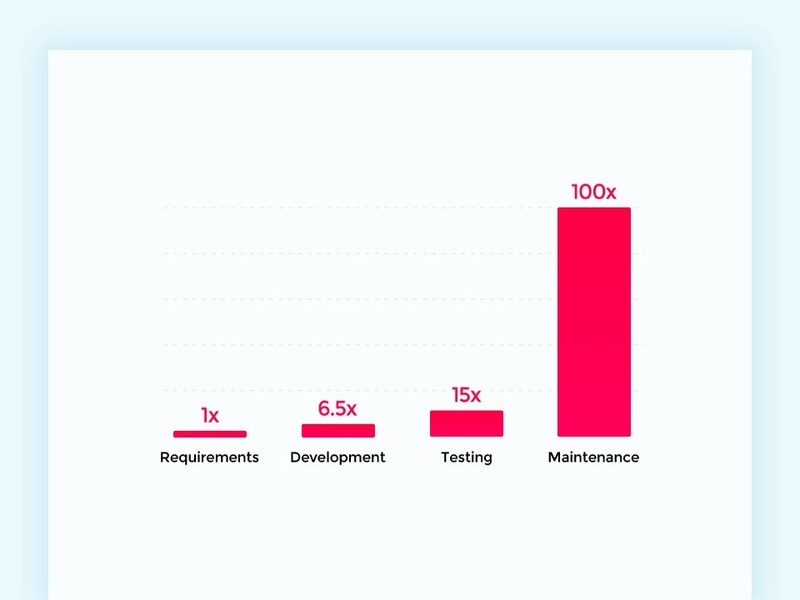 From the graph below it is easy to see that if there will be an issue in a later stage of development, fixing it can cost up to 100 times more than getting it right in the first stage. - Creating a prototype cut the time and effort in half in comparison with the traditional requirements gathering process. - The accuracy of estimating the time and costs for the projects rose by 50%. - Development team reduced their requests for clarifications by 80%. - Fixing issues after launching the project was reduced to 25% of similar previous projects. - From these results, you can clearly see that prototypes are not only saving money but also time. So when someone says that he does not have the time to create a prototype, you can bet this person has never prototyped. Businesswise, a prototype is much more convincing than a concept. Imagine a meeting with a client and a stakeholder, where you have to convince them about your new app. With a prototype, you do not have to use only descriptions, mockups, notes or business plans. Prototypes are powerful sales presentation tools that can show the actual capabilities of your product. When someone says that he either does not have a time or budget to prototype, you can confidently argue with him.The results of an experiment conducted by UCLA, showed that when comparing development teams using traditional development methods and others employing prototyping in software development: The code of the final systems produced by prototyping groups was only about 40 percent as large as that of their counterparts. Prototyping groups accomplished their task with 45 percent less effort than the other groups. Prototypes definitely save time and money. Feedback provided through the use of prototypes is making the whole project better to use. With prototypes, projects are made on time, with less effort and with less budget changes. Roman Kalina is a product strategist and copywriter at PLATFORM. He is a former journalist, editor-in-chief and has over 9 years of writing experience.